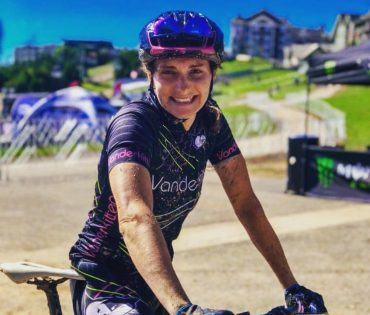 As a self proclaimed Cyclocross racer, Vanderkitten Entourage cyclist Alex Forte has expanded her horizons into the Mountain Bike racing circuit this year. After her first season, she qualified for the USAC National Championships in West Virginia at the Masters Levels. Yesterday she hopped into a spur of the moment non-championship race and won her category, placing 3rd overall! Not bad for a “non-mountain biker”! Alex races in the Masters MTB Championships Friday.